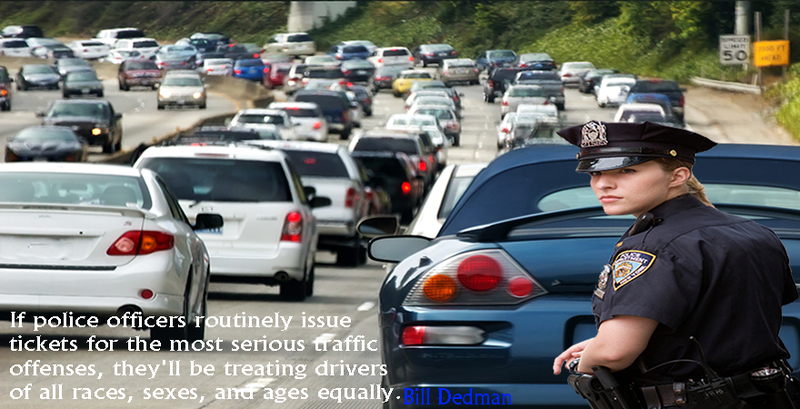 Traffic Ticket Laws refers to the rules that regulate the manner with which motor vehicles operate on public roads. The main purpose of this law is to prevent unsafe driving, raise revenue and promote efficiency on public roadways. Law enforcement agencies across all levels of government are charged with enforcing traffic laws in areas under their jurisdictions. In a situation where a driver violates the law that guides traffic, a written citation (or ticket) is issued to these offender(s) at the time they violate the law. However, if the offense was serious, the prosecuting attorney may file charges against the offenders in lies of the citation (or ticket). There are essentially two classes of traffic violations: moving violations and non-moving violations. Moving violations. This refers to traffic tickets that are issued based on omissions or acts by the driver when the vehicle is still in motion. These violations include speeding, drunk driving and failing to stop at a traffic signal. Non-moving violations. This refers to tickets issued for infractions such as parking in an improper manner or allowing the registration of the vehicle to lapse, also, for broken or missing equipment. The penalties for committing infractions of traffic laws depends on the severity of the offense committed by the driver and the penalties vary from a verbal warning to spending time in prison. Tickets from broken or missing equipment can be resolved when the vehicle is repaired or replaced and then inspected by a police officer. Common offenses such as speeding may require the driver to pay a particular amount to the court, with the price being based on a fee schedule. More serious offenses usually attract the appearance in court where a judge will decide the penalty for the offense. Traffic tickets can result in civil penalties, an example of which is the state department of transportation deciding to revoke, suspend or permanently cancel the driving privileges of an offender; as a result of infractions such as driving recklessly, DUIs or accumulation of points to demerit the driver based on multiple violations of less serious traffic laws.